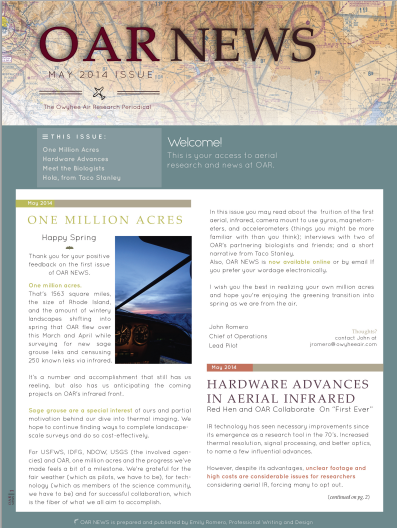 OARNEWS is our quarterly periodical designed to provide target information to researchers in natural resources and those interested in aerial surveying technology. 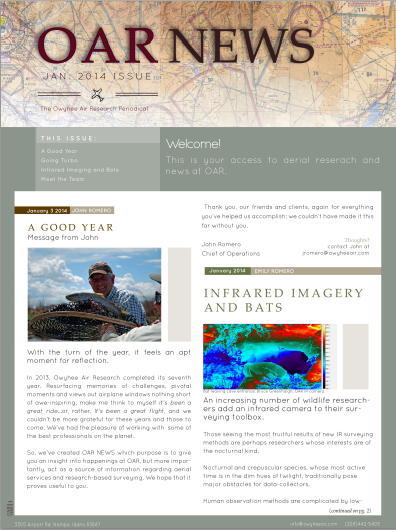 If you'd like to sign up to receive OARNEWS in digital or full color, print copy, subscribe below! Thank you! Please keep your eyes peeled: Newsletters are published approximately every quarter. Merry Christmas from Owyhee Air Research! Sign up to receive OARNEWS quarterly. We offer new information on aerial infrared and natural resource aerial surveying. 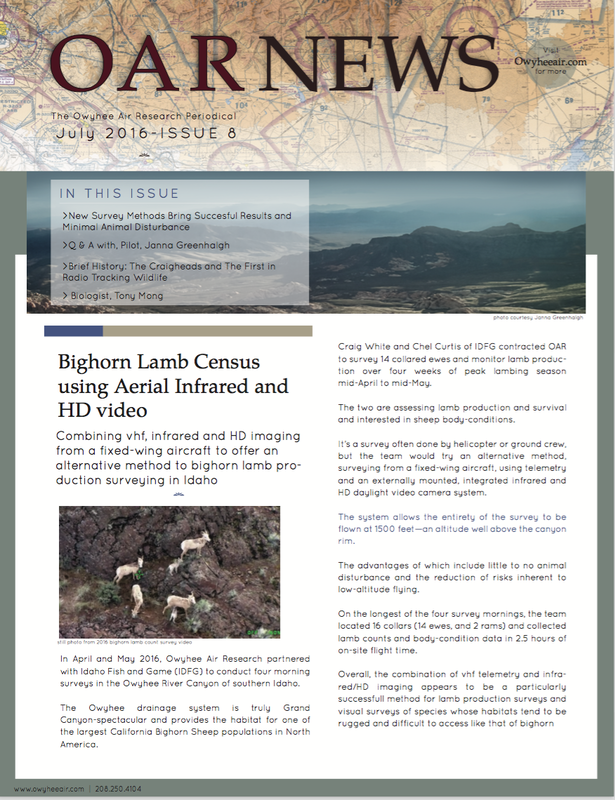 Aerial infrared wildlife surveying and natural resource surveying data acquisition. Based in Nampa, Idaho (USA).